Height and speed are the two best-known characteristics of this ride, but you won't find out the rest until you try it for yourself. Amidst the impenetrable Himalayas, in a valley of Central Asia, legend has it that there lies a city, the cradle of eternal youth, a centre of happiness and a kingdom of peace and wisdom. According to this ancient myth, the king of the world resides in this city, which is connected to every continent by means of a series of secret passages. This city is known as Shambhala. 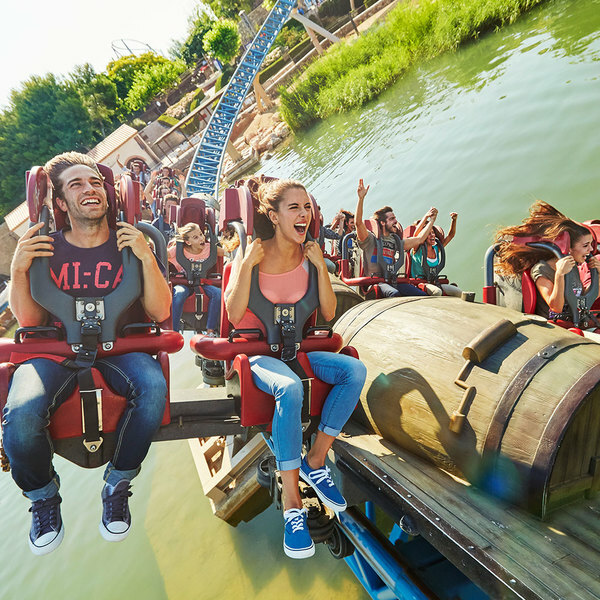 This roller coaster has the longest drop and is the tallest in PortAventura Park, forming part of the group of hypercoasters which are characterised by their size and height. 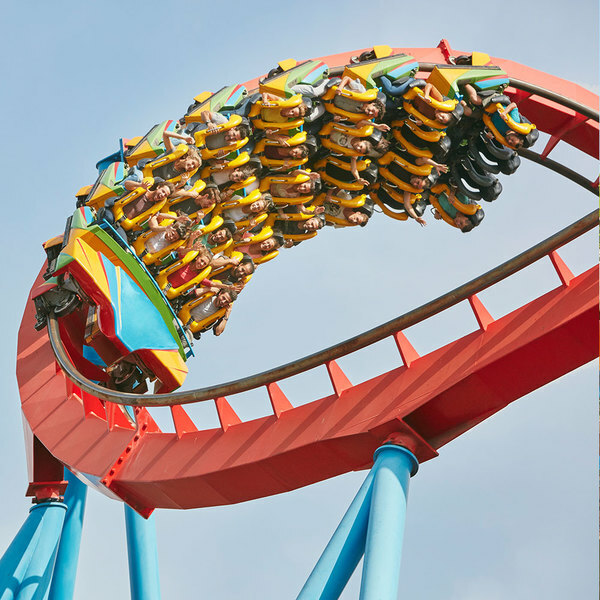 Its five camelbacks (hump-shaped hills positioned along the track) will make you feel as though you are being lifted off your seat, and you'll want to experience it again as soon as you get off. 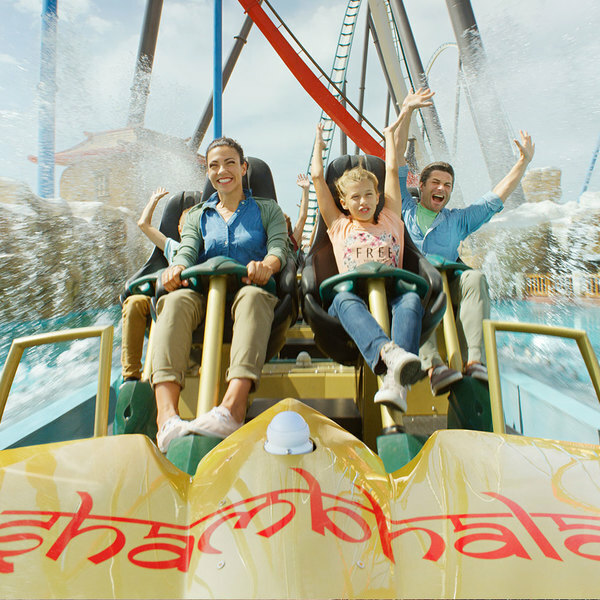 Are you ready to experience Shambhala? Do you know which country inspired Shambhala's look? 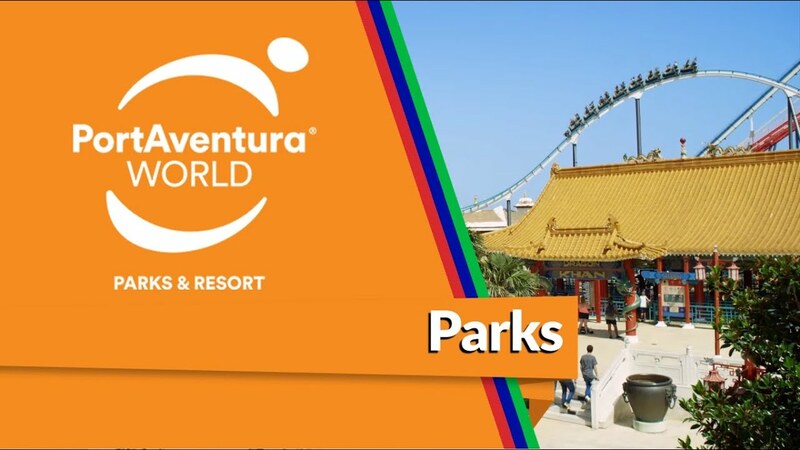 The architectural structure and the astronomical elements of this ride take their inspiration from the Kingdom of Bhutan, one of the most isolated and unknown countries in the world. This record-beating ride will take you on a legendary journey to conquer the skies. 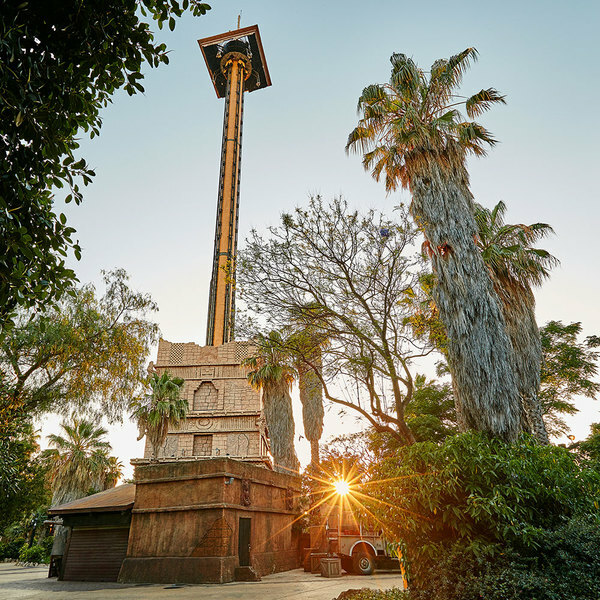 With a 100-metre long free fall, this ride is only suitable for the most courageous of México PortAventura's visitors.